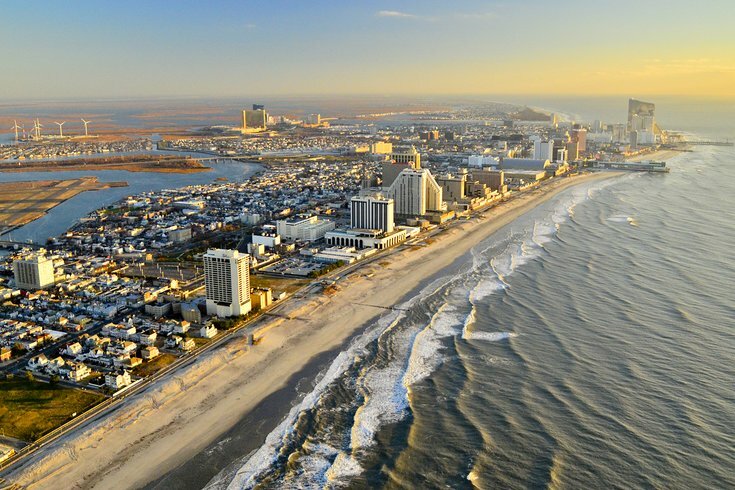 Potential problems loom for Atlantic City heading into the Fourth of July holiday, including a strike and a sharp jump in the gas tax chief among them. Atlantic City’s largest casino union is threatening a walkout on Friday of as many as 6,500 employees at five of eight casinos in the recovering resort on Friday. The properties facing walkouts are Caesars, Harrah’s, Bally’s, Tropicana and the Taj Mahal. "We do not have an agreement. A strike is likely at one or more properties," Bob McDevitt, president of UNITE HERE Local 54 said Tuesday afternoon during a teleconference with reporters. McDevitt said a final decision to go out on strike will not happen at midnight Thursday, but will be decided some time during the day on Friday. If there are acceptable proposals in the works, strikes could be averted, he added. He said the biggest challenge is getting an equitable contract for workers at the Taj Mahal because many of their perks – health care and pension payments among them – were stripped away during the property's recent bankruptcy. But he noted the contract for the Taj could set a low standard for other properties, which could demand the same terms, meaning negotiations will be intense at that hotel/casino. "They are much further behind. The jump for them will be extraordinarily high," said McDevitt of the Taj. McDevitt said givebacks happened throughout the city in 2011 as casinos fought to stay alive – four properties closed in 2014 – and with financial recovery, he said there should be sharing between the operators and the workers. And while 4,000 UNITE HERE workers at Borgata, Golden Nugget and Resorts Casino are not affected, a labor dispute could also keep patrons away from those properties – and the rest of Atlantic City. Add to that a New Jersey gasoline hike, maybe as early as Friday, which could jump taxes by 23 cents a gallon. The expected hike would lift the state to the seventh-highest gas tax rates in the country. The hotel remains closed, with owner Glenn Straub throwing a tantrum over gaming regulators who want him licensed as a casino operator even though he plans to subcontract Revel’s casino operation. Straub bought the financially distressed property more than a year ago – it went into bankruptcy twice before closing without ever turning a profit – for $82 million. Construction costs for the second tallest building in New Jersey were $2.2 billion. The squabble between Straub and casino regulators is further clouding Revel’s reopening as a hotel, with Straub saying he’s not moving forward as long as he is required to obtain a license for the property. On the plus side – yes, there is a small silver lining heading into what should be a big weekend – Delaware River Port Authority unions, the folks who operate the Ben Franklin and Walt Whitman bridges, chokepoints on the way to Atlantic City, aren’t planning labor actions for the holiday weekend. That was the threatened murmur after their labor pacts were recently vetoed by Gov. Chris Christie over the terms of the health care agreement. While bad blood remains – one labor leader says he was recently escorted out of a state office building by police at the direction of a Christie appointee – a new agreement on health care is before the governor. That means no labor action because “we don’t want toll-payers on a holiday weekend,” said Frank Blanchard of Operating Engineers Local 542. During his conference call, McDevitt avoided saying how likely he believes a strike may be, but he did say, "Nobody wants a strike." Requests for comment from spokes persons for the five targeted casinos were not immediately returned.